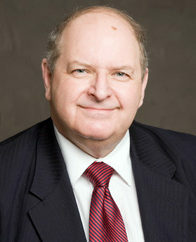 Thomas S. Axworthy has had a distinguished career in government, academia, and philanthropy. He served as the Principal Secretary to Prime Minister Pierre Trudeau, and he was a key strategist on repatriation of the Constitution and the Charter of Rights and Freedoms. He was appointed Secretary-General of the InterAction Council, a think tank of former world leaders, in 2011. Established in 1983, the InterAction Council was the first group to apply the wisdom and network of former leaders to current global issues. In 1984, Dr. Axworthy went to Harvard University, teaching at the Institute of Politics at the John F. Kennedy School of Government. In 2003, he left Harvard and was appointed Chair of the Centre for the Study of Democracy, School of Policy Studies, Queen’s University. He is currently a distinguished fellow at the Munk School of Global Affairs and Public Policy and Chair of Public Policy at Massey College, University of Toronto. His career in philanthropy began in 1986 with his appointment to the CRB Foundation where he initiated the Heritage Minutes and the National Heritage Fairs Programs. He continued that work from 1999 to 2005 at the Historica Foundation of Canada. To recognize his achievements in heritage education, civics, and citizenship, Dr. Axworthy was invested as an Officer of the Order of Canada in 2002. From 2009 to 2015, Dr. Axworthy was president and CEO of The Gordon Foundation, an institution known for its partnership with Northern indigenous leaders in helping to create the Arctic Council. He is the author of numerous books and articles of which the best known is Towards a Just Society, co-authored with Pierre Trudeau.